The ‘winword.exe’ application error is a common error that many Microsoft Office users encounter. This error was officially recognized by Microsoft and an official update was released to fix it. Repair packages were also developed to help repair the Office suite but still, many people seek workarounds for the error message. The WinWord.exe problem may also be regarded as ‘The application was unable to start correctly (0xc0000715). Click OK to close the application’ and on this page, we will offer you some of the most effective solutions, which you may try. Before you start, make sure that you have administrator privileges on your computer and your Internet connection is stable. Microsoft Office is known to cause issues if some of its installation files are corrupt or missing, that’s why, a scan and repair of the Office Installation may fix any problems, related to that. First, press Windows + R keys together and, in the box that opens type “cpl”. Press “Enter”. From the application manager, find the entry of Microsoft Office, right-click it and select “Change”. If there is an option of “Repair here”, click it directly. If not, from the “Change” menu select the “Repair” option and press “Continue”. When the process is complete, restart your computer. Check if the error message is fixed. If problematic software installed on your computer, this could be another reason why you may experience the winword.exe application error. Here the fix is to check for issues with the permissions or other aspects of your installation, which may block the Office suite. Some users have reported that Adobe Acrobat is having a clash with the Office suite. If you find programs that are problematic, uninstall them via the Control Panel and restart your computer. Another solution might be restarting the ‘winword’ process from the task manager. In newer Windows versions you will see it as MicrosoftWord while in older, the process is named as “winword”. Press the Windows + R keys togeher, type “taskmgr” in the box that appears and press “Enter”. From the task manager window, find the process, then right-click it and select “End Task”. Launch the Microsoft Office application and see if the problem is solved. As we mentioned in the beginning, Microsoft has officially released a Windows update to fix the “winword” issue. That’s why, updating your OS may actually do the trick since some components are only fixable by the Microsoft’s team. For that, press the Windows + S keys together, type “Update” in the box that appears and open the Settings application. 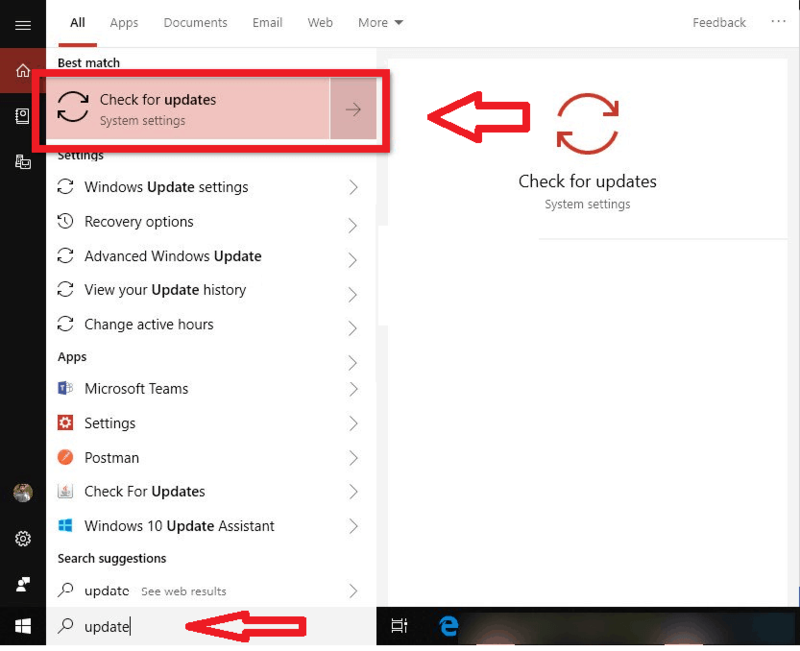 Click on “Check for updates” and let Windows check the latest updates to your system. Ensure that you have Internet connection before proceeding with the steps. When the update completes, restart your computer and start the Microsoft Office application. If none of the workarounds works, a reinstall of the Office suite could be your last resort. Note: Keep your activation key at hand, since after the reinstall, you might need to enter it again. Press the Windows + R keys together, type “cpl” in the box that appears and hit “Enter”. From the application manager, find Microsoft Office, right-click it and select “Uninstall”. Follow the uninstallation instructions on the screen. Next, launch the Office installer or CD and install it as per the instructions. Restart your PC and see if the issue is solved.